I love taking a break with a cup of coffee and my diary. I love black ink and list writing. That’s why I’m participating in 52 Lists in 2013. 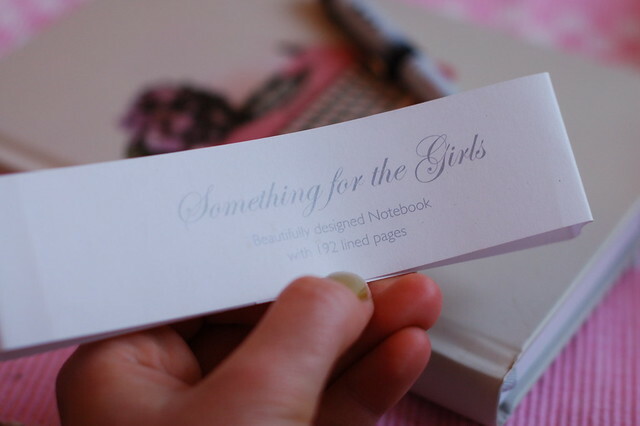 Each week Moorea posts a new list prompt, and I think it’s perfect as diary writing! 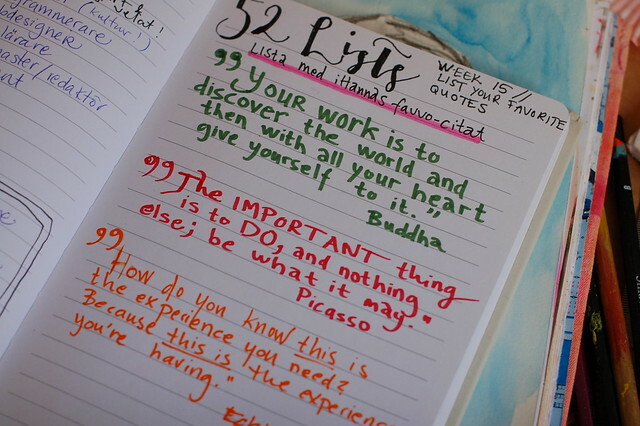 This week I caught up by writing the last week’s lists and the latest one (week 15) was about favorite quotes! I think everyone with a fascination with words collects quotes in one way or another. I’ve got a little notebook full of them, but these are three of my favorites by three house gurus in different fields. The top one, by Mr Buddha, is my all-time favorite. What are you writing in your journal? This entry was posted in I write Lists, Notebooks, On writing and tagged collecting quotes, diary, diary writing, journaling. Bookmark the permalink. Awesome! I keep a quote book too, but I think you’ve just inspired me to write each one in a different color! I’ve been printing out the 52 lists but as yet have not done anything with them. I like your little journal book with color and black pen. Thank you. I just got a box of Inktense W/C pencils today that I want to try. I read in an old magazine article that I can use them dry, wet them, and let the color dry. When I put another layer of Inktense pencil and use water, it will not change the first color. More will be revealed. The quote you show which on your dairy is really nice, the quote which is written by Buddha is very motivational quote and this quotes is the best quote i ever seen. I also save this quote in my note book. Because this quote is really inspire me. Your journaling is awesome. I have always condemned my handwriting…sure, it’s neat (I’m a preschool teacher so it has to be readable by four year olds) but it lacks flair. I think I’ll experiment with colors and new fonts. Thanks for the inspirational ideas.